Covering an area larger than Peru yet with a population of just 3 million people, Mongolia is the most sparsely populated country on earth. It is also a beautiful and fascinating nation, with traditions established before Genghis Khan founded the Mongol Empire in 1206 influencing lifestyles to this day. While mindful of its rich culture, Mongolia is easing into the modern economy with commercial-scale mining leading the way. How could it not when minerals comprise some 80% of the country’s exports? Mongolia’s most famous mine is undeniably Oyu Tolgoi, the copper-gold behemoth operated jointly with the Mongolian government by Rio Tinto (LON:RIO) subsidiary Turquoise Hill Mining since 2013. But the country is home to other mines as well, such as Centerra Gold (TSX:CG)’s Boroo mine, a historic gold mine whose modern-day output began in March 2004 and continued until September 2012, though with a stoppage of just over a year beginning in November 2010. Oriental Non-Ferrous Resources Development (CSE:URG) and its leadership team were attracted to the country for the same reasons as other companies – high-quality projects, proximity to Asia and a favourable permitting environment, to name a few. The driving force behind the company’s strategy and operations, founder and director Youliang Wang, explains that the concept for Oriental Non-Ferrous Resources Development dates back some 20 years to when he was a banker at China Construction Bank, where his responsibilities included overseeing loans to Chinese mining companies. Attracted by the scale and variety of opportunity in Mongolia, Wang first invested in a dairy business, eventually broadening into other agricultural businesses as complements. Given his background in mining finance, though, it was only a matter of time until he created a plan to move into this sector. In 2013, Wang and his team immersed themselves in the Mongolian mining community, working with consultants and local exploration teams to examine various properties. The result was the company’s current land package, prospective for both industrial and precious metals. Oriental Non-Ferrous Resources Development’s properties are located in the Bornuur district in the Tӧv Aimag, or Central Province, of Northern Mongolia. Its package spans roughly 1,050 hectares, comprised mostly of the Kharganii am-1 Molybdenum Property. Since acquiring the Mongolian projects, the company has completed extensive trenching and geophysical work, geological mapping, ground magnetic surveys and polarization gradient surveys. Wang explains that many of the holes have multiple intersections of molybdenum mineralization above 0.05%, with several intervals of between 1m and 2m exceeding 0.5% Mo. The best hole yielded a 3m length averaging 2.413% Mo. Wang notes that the Mongolian permitting environment is very reasonable, with the various licenses Oriental Non-Ferrous Resources Development holds typically being extendable for up to 30 years. P&E Mining Consultants of Toronto was recently chosen to complete a NI 43-101 report for the company’s Kharganii am-1 Project, which will reflect results from the current drill program and associated metallurgical test work. A concurrent evaluation of the preliminary economics of the molybdenum deposit is also planned. The properties being situated within a recognized gold belt, Oriental Non-Ferrous Resources Development is also gearing up to initiate a property-wide evaluation of potential gold targets. The work will include mapping, prospecting and IP geophysics. Expansion of the property is also under consideration. Wang says Oriental Non-Ferrous Resources Development is also evaluating both merger and acquisition opportunities and possible project procurements, the longer-term objective being to develop a portfolio of Asia-based projects diversified across various mineral types and regions. Time will tell where these expansion efforts lead, but for the time being there is plenty to be excited about in Mongolia. The country has only been an internationally accessible mining jurisdiction since the mid-1990s, and if one considers what the industry has been able to accomplish in the last decade between new discoveries and active operators, Mongolia holds its own vis-à-vis many more mature mining jurisdictions in other parts of the world. This story was originally published at www.proactiveinvestors.com on Feb 28, 2017 and featured in The CSE Quarterly. 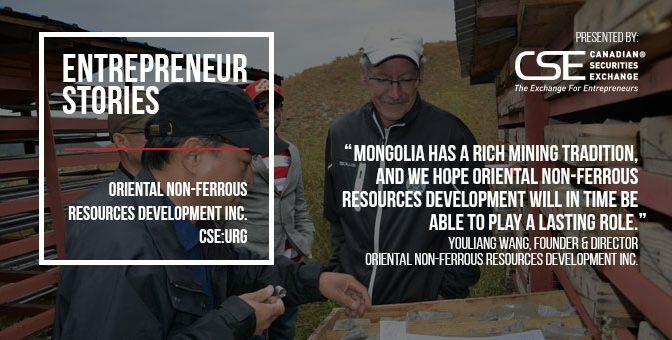 Learn more about Oriental Non-Ferrous Resources Development on the CSE website at http://thecse.com/en/listings/mining/oriental-non-ferrous-resources-development-incc. Anyone who knows anything about Canadian gold mining will be familiar with the legendary Red Lake Gold District in Ontario. It’s home to the Red Lake mine, one of the world’s most prolific mines owned by one of the biggest producers of the yellow metal: Goldcorp (TSX:G). The district has produced over 30 million ounces of high-grade gold, and other major operations in the area include the Madsen and Starrett Olsen mines, owned by Pure Gold Mining (CVE:PGM), and Goldcorp’s Red Lake, Campbell, and Cochenour mines. Well on the way to making its own mark in the district is junior explorer West Red Lake Gold Mines (CSE:RLG). The company’s 3,100 hectare property hosts three former producing mines, lies just 20km from Goldcorp’s Red Lake mine and boasts a management team that is expert in bringing gold projects to the point where they are bought out by bigger producers. “We explore and develop gold projects – outline a gold deposit or what could be an underground mine in the case of our present project,” explains president John Kontak. “We would, say, take a company of $20 million market cap and develop the project for a transaction that could be worth a couple of hundred million dollars. That’s what we’ve done before and that’s what we’re working towards now,” he said, adding that it’s a two- to three-year strategy. And this team certainly has form. Entrepreneur Tom Meredith is Executive Chairman. 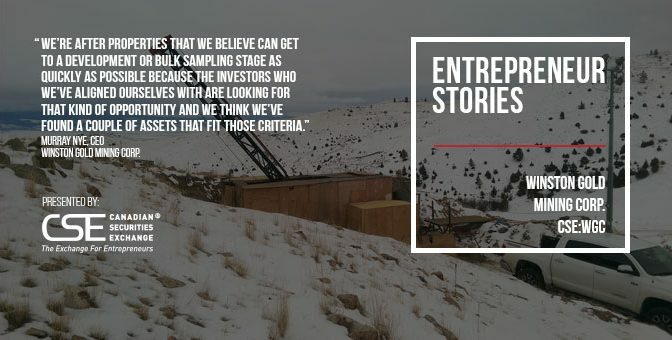 He was formerly head of VG Gold, where he worked with West Red Lake’s exploration manager, Ken Guy, and took a $3 million market cap firm to the point where it was sold to Goldcorp founder Rob McEwen in a transaction valued at approximately $200 million. Meanwhile, Kontak was formerly president of Victory Gold Mines, where Meredith and Guy were also involved. It owned a former open pit east of Timmins that was later sold and is now part of Osisko Mining (TSX:OSK). The team (including Meredith, Guy and Kontak) took on West Red Lake in 2014 during the gold bear market, sorted out some legacy issues, and in February of 2016 filed a NI 43-101 inferred resource estimate for the Rowan mine target of 1.087 million ounces at 7.57 grams per tonne (g/t) gold. West Red Lake has three former mines on the property – the Rowan, Red Summit and Mount Jamie mines. The latter two are owned 100% by the company, while Rowan is 40% owned by joint venture and funding partner Goldcorp. Rowan is currently the focus of attention, where the company is operator and over 500 holes have been drilled to produce that NI 43-101 estimate. The Rowan project consists of two main exploration targets. At the former mine, the goal is to significantly increase the resource to allow for a long mine life. Then there’s blue-sky potential at another target, a structural intersection where two regional gold-bearing structures meet. It’s worth noting here that Goldcorp’s Red Lake mine produced a whopping 375,700 ounces of the precious metal in 2015 alone. The geology of the Rowan mine is a fairly simple archean greenstone, Kontak explains, whereas the intersection target is more complicated, involving folding rocks. However technological advancements in exploration nowadays means finding that “needle in the haystack” is increasingly plausible. West Red Lake started drilling again at Rowan in January, having completed two programs last year, and plans to start a campaign every quarter while releasing assays from the preceding program. The near-term aim is to expand the existing resource and in the future to upgrade into the higher-confidence “indicated” category. The resource is open at depth and to the east and west, and there’s a 12km strike length so there is plenty of opportunity to work at increasing it, though there’s no specific time set for the release of the next estimate. “This could be turned into an operating underground gold mine,” Kontak said of Rowan, pointing out there were many mills with spare capacity around in the area, along with good infrastructure and water. The Red Lake region’s propensity to yield high-grade gold is also key to the story. The 1.087 million ounces of inferred resource at 7.57 g/t was at a 3 g/t cut-off, and at a higher 5 g/t cut-off there were still 850,000 gold ounces inferred from just 2.5 million tonnes. The basic message is the higher the grade, the lower the costs. West Red Lake has a team in Toronto already trying to attract potential production companies who may be interested in buying the project in two to three years. Financially, the company has around $1.5 million in the treasury, and is funded for its drill programs in the first and second quarters. Management are significant shareholders, so they are obviously keen to see value enhanced. With some attractive targets and apparent multi-million ounce potential, West Red Lake Gold Mines has it all to play for at a time of rising sentiment in the gold market. This story was originally published at www.proactiveinvestors.com on Feb 14, 2017 and featured in The CSE Quarterly. 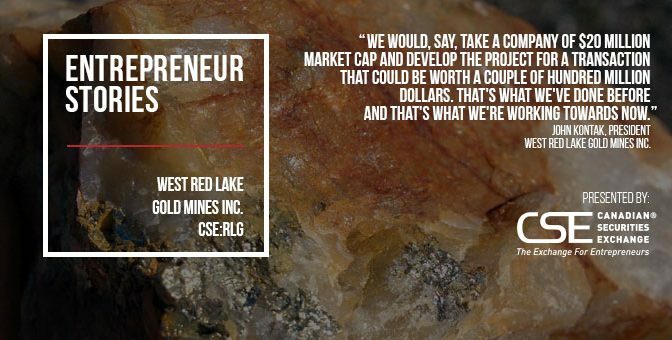 Learn more about West Red Lake Gold Mines at http://www.westredlakegold.com/ and on the CSE website at http://thecse.com/en/listings/mining/west-red-lake-gold-mines-inc. Throw in an experienced management team and you’ve got what many would see as the complete package. With its two assets and strong mining team, Winston Gold Mining, which raised C$545,000 when it listed on the CSE last March, appears to tick all of these boxes. While it is still in the early stages of developing its Gold Ridge property in Arizona and its namesake Winston project in Montana, the company holds historic data (particularly on the latter) which suggests both projects have more than a fighting chance of success. Winston is located near Helena, Montana – an area with a rich mining history dating back to the 19th century. The district is reported to have produced 100,000 ounces of gold from only 150,000 tonnes of ore back in its heyday at an impressive average grade of 22.8 grams per tonne (g/t). A quick look at the records will tell you that the Custer mine – which lies within the Winston property – was a major contributor to that figure. Similarly, the Gold Ridge project near Willcox in Arizona yielded some good grades in the past, too. “It was acquired from some people we know very well. It’s also a historic mine, but not quite as prolific as the Winston claims,” explains the company’s chief executive Murray Nye. The Gold Prince deposit on the project was mined sporadically between 1932 and 1996 and produced 22,000 ounces of the precious metal from multiple veins, averaging almost 12 g/t. The low price of gold back in the eighties forced the previous owners to move out of the property, but Nye’s interest was piqued by what was left behind. “What we liked about that was that it had a lot of development done already. They had set up two drill stations underground and we went down and checked it out and they were both in good shape,” he explains. This is exactly what Nye and his team look for when assessing potential projects. Given that it only acquired Gold Ridge at the back end of last year, not much additional work has been carried out at the property. The company’s primary focus has been on its flagship Winston property. “We think it has more opportunities in terms of tonnage,” says Nye. The project had around 630 holes drilled down to around 100 metres or so as the previous owners tried to assess the potential for an open pit operation. They estimated it could be host to around 500,000 ounces of gold, potentially more. “That’s not 43-101 compliant but it certainly gives us an indication that there are some pretty good gold values in the property and many of them were very high grade,” says Nye. The CEO and his partner Mike Gunsinger think the real potential of the Winston project lies in the untested geology further below ground. Drilling along the Edna-West vein, as it has now been called, yielded grades of 8 g/t up to 44 g/t. The bonus of these high grades is that it would make the project relatively low-cost. But it’s not just the grades that make Winston such an exciting project; the fact that the infrastructure is already in place is also a plus-point. “There’s a major highway within a half-mile of the property and there’s a major power line running right through the middle of it,” says Nye. The plan is to carry on drilling here for another few months and then go underground, with a view to getting into production within two years. “If we were to start something [underground] eight months from now, you’d be doing the development which would probably take another eight months,” explains Nye. “Depending on how long the vein is and what you’re mining it would at least take you another eight months to develop that into a shrinkage stope operation. That’s not a lot in mining terms, but it is a tough ask for a fledgling business. But that there is where the experience and connections come in. Winston is the second mining company Nye has headed over the past decade, and before that he was involved in financing projects, while Gunsinger has over 50 years of mining experience to draw upon. So they know mining money people and are also pretty well up on the laws and regulations, especially in Montana. “Operationally we’ve got a very experienced mining team and management is key in this. We’re very familiar with the state, the regulations there and we have very good relations with regulatory bodies,” says Nye. The one thing Nye can’t control is the price of gold, although things are starting to look up here too. “The gold market, in my opinion, is a place to have a serious look right now – it bottomed out but now seems to be back on an uptick,” the Winston CEO says. Is this another box ticked for Winston Gold Mining? Very possibly. This story was originally published at www.proactiveinvestors.com on Feb 16, 2017 and featured in The CSE Quarterly. Learn more about Winston Gold Mining at http://winstongoldmining.com/ and on the CSE website at http://thecse.com/en/listings/mining/winston-gold-mining-corp.
We all know that shopping isn’t what it used to be since the arrival of smartphones and e-commerce. What you might not be aware of is that the payments, promotions and coupon landscape is also undergoing a seismic shift due to emerging technology. At the vanguard of this revolution is rapidly growing fintech (financial technology) company MOBI724 Global Solutions Inc. (CSE:MOS), which provides consumer services that weren’t available as recently as two years ago and is participating in an expanding global market that this year has an estimated worth of $10 billion. The company specialises in card payments and its core business, explained Chief Executive Officer Marcel Vienneau, is its card-linked platform, which when combined with digital marketing represents a new ecosystem allowing banks, merchants and customers to transact more efficiently with each other. Card-linked technology is transformative for credit card points programs, and in addition enables card users to receive a tailored stream of offers and promotions on their smart devices. To give a sense of scale, the company’s website says there will be just over 1 billion mobile coupon users by 2019, up from just under 560 million this year. MOBI724 also offers digital payments solutions. “This type of technology simply didn’t exist two years ago,” said Vienneau. “We are selling our solutions primarily to card issuers or banks in different countries,” he adds, pointing out that the company has customers in Canada, Asia Pacific and Latin America. In the Canadian market alone it has 400 customers. “Most banks, anywhere in the world, have points programs where they issue points when you spend with their cards. Most of these cards enable customers to redeem points and get a reward,” he said. 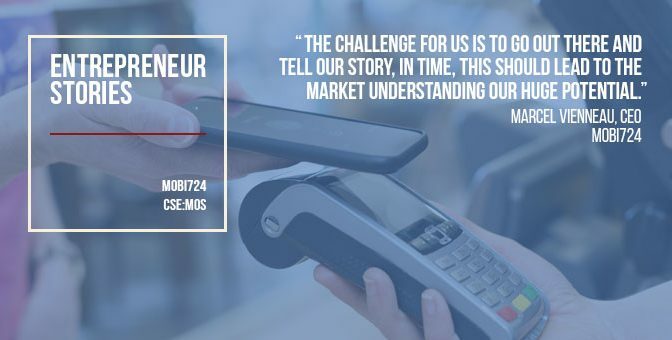 Perhaps the most significant aspect of MOBI724’s technology is that it has reinvented a clumsy, 20-year-old cost and payment structure, and thereby helps banks to make more money from card transactions. Vienneau offers some examples of how the system worked in the past and how MOBI724’s better approach makes a difference. A credit card customer has been awarded 25,000 points for using his or her card and can therefore buy a product with a $250 gift card. The card-issuing bank bears the cost of producing a rewards catalogue and the shipping costs of any product bought. Now, say that a customer goes to an actual store and wants to buy a gift for $400 and include the $250 gift card value as partial payment. The current system is disjointed and the balance can be made up from cash, or another credit card, which might not be linked to the points system. Obviously, the customer doesn’t get the benefit of gaining more points. MOBI724 simplifies the process by bringing all the strands together. It links the credit card, which issued the points, with the gift card. A customer can make a payment with an app and it both acknowledges that the gift card has been used and applies the balance owing to the credit card that earns points. Similarly, when someone is in a store MOBI724 can send a coupon based on location or the customer’s profile, then the coupon can be used moments later at the cash register. The system can also send offers directly to a smartphone at any time, regardless of whether the shopper happens to be at a store or not. In the preceding case of the $400 purchase, the bank charges a percentage of the transaction value when the points are redeemed, and so does MOBI724. The bank also wins by avoiding the necessity of having to pay for catalogues and product shipping. “This is a new way to transfer a cost structure into a revenue-driven model, and it is seamless for the user and the bank,” said Vienneau. It also taps into the way people engage with their banks and financial institutions nowadays – namely, instead of going into branches and using ATMs, people are putting “plastic into phones” and want more personalised interaction. “Banks are losing their branding abilities but this gives them more channel opportunities,” Vienneau explained. MOBI724 has invested considerably in its “business intelligence” capabilities, which allow it to map out people’s past purchases, social media interests and other distinguishing characteristics so that it can target them with specific coupons and offers. “We are not just throwing everything at them,” said Vienneau. The digital marketing aspect of MOBI724’s technology should also be of interest to advertisers, he points out, as it reveals consumer spending habits and other tendencies. To that end, the company has struck strategic alliances with several agencies to help further grow the business. And growing it certainly is. Two years ago,annual revenue at MOBI724 was just over $100,000, and last year came in at $450,000. For 2016, sales are projected to reach $2.75 million. 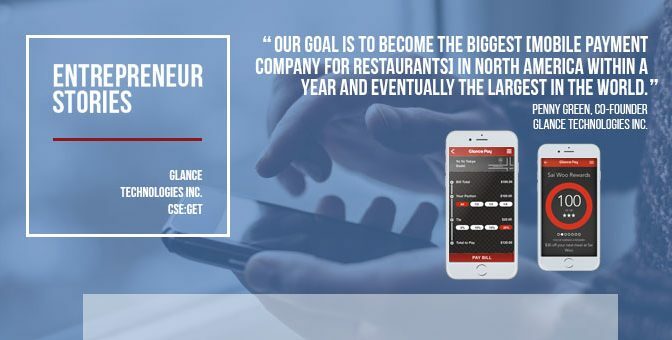 Vienneau, a tech entrepreneur who became Chief Executive Officer when the group listed on the Canadian Securities Exchange in February 2015, expects to double revenue in 2017, along with crossing the line into positive EBITDA territory around mid-year. In the next 36 months, the aim is to have $50 million in annual revenue and an expanding sales pipeline. Vienneau designed the card-linked technology himself, planning the concept on a single sheet of paper four years ago. The digital coupon market is projected to be worth $50 billion in the next three years and he reckons MOBI724 is well positioned to win a meaningful piece of this. The group already has a respected backer in the form of institutional investor Fidelity, which has been involved in four rounds of funding, the latest for a $1.5 million convertible debenture. MOBI724 announced plans to raise $5 million in July, around half of which has already been obtained. The money will be used to drive growth, as the research and development phase is over and the various technology solutions are fully functional. Significantly, MOBI724 owns all the intellectual property supporting its platform and has a patent pending. This story was originally published at www.proactiveinvestors.com on Nov 24, 2016 and featured in The CSE Quarterly. Learn more about Mobi724 Global Solutions Inc. at http://www.mobi724.com/ and on the CSE website at http://thecse.com/en/listings/technology/mobi724-global-solutions-inc. In a world where corporations with big budgets toil night and day to eke out what often are mere single-digit profit margins, the idea of a company making modest, low-risk investments and generating swift returns of 1,000% or more seems fanciful. Such a company would have to operate in an innovative industry facing serious capacity constraints, and be one of the few groups holding the keys that unlock the potential to address them. 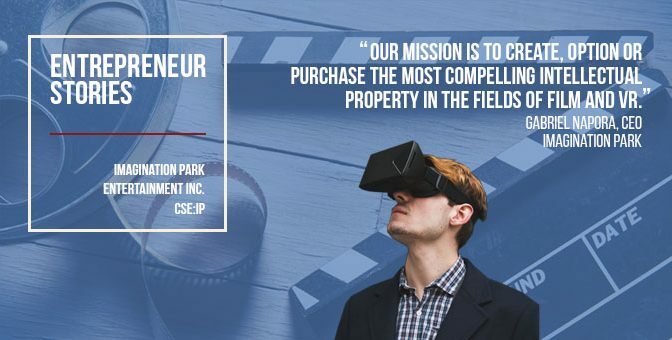 Well, meet Imagination Park (CSE:IP), a young company that actually is on such a path, working in a realm that over time is likely to touch each and every one of our lives…virtual reality (VR). Imagination Park is home to a multi-talented team whose members have sold feature films, concepts, scripts and intellectual property to some of the largest entertainment studios in the world. It is a company that seems to have the business side of the industry figured out, pursuing a model that provides multiple chances to make exceptional returns while limiting financial risk to a minimum. How do they do it? They follow the money. Imagination Park brings substantial heft to its projects thanks to a team whose members include two highly successful producers — Napora, plus Imagination Park President Tim Marlowe who was the Executive Producer for The Lady in Number 6, which won an Academy Award. Colin Wiebe, a creative entrepreneur, digital marketing expert and musician who toured with the likes of rock legend Randy Bachman chairs the board of directors, which also includes producer and ace talent scout Yas Taalat. The top execs oversee a technical group on the special effects and virtual reality fronts that is second to none. This is a company ready to leverage technical and cost advantages to compete in a large and rapidly growing market for the products and services in which it specializes with an emphasis on 360 degree, 3D virtual reality content. Imagination Park takes advantage of this growing supply/demand imbalance not only by producing films and other content, but also with virtual reality services and more conventional production support. It does this in a clever way from a financial perspective, structuring agreements so they pay on both the front and back ends. “In film, and to some degree virtual reality, the riskiest thing is financing. No matter how smart you are, nobody can guarantee that a film is going to make money,” says Napora. In the next few months the world will get to see a series of Imagination Park projects, including a full-length feature film starring Danny Trejo, several virtual reality pieces, and a full-length documentary. 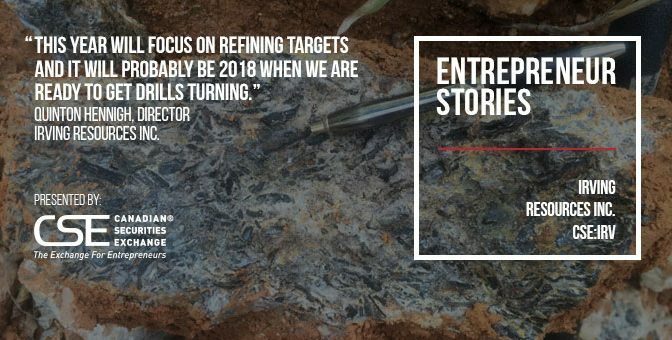 “We are close to having around 18 projects either created, optioned or acquired on our basic slate for 2017,” says Wiebe. A proof of concept is like a mini-trailer, but the intended audience is a studio or other entity who would purchase or financially support the idea. Imagination Park creates proof of concept packages for third-party filmmakers as well as for itself to market its own concepts developed internally. Napora’s Tetravaal production was a proof of concept. On the virtual reality side, Imagination Park has created content soon to be for sale in virtual reality stores. It will also work with advertising agencies, and with film studios that have a new title ready to go but need virtual reality content online to help excite potential moviegoers. Virtual reality, proofs of concept, feature films and production work are enough to keep the Imagination Park team busy on its North American home turf, but China beckons as well. The Asian country is a huge and rapidly expanding market for feature films, and Napora happens to have both experience and connections there, plus an understanding of the types of concepts that sell to its unique audience. Learn more about Imagination Park Entertainment Inc. at http://imaginationpark.com/ and on the CSE website at http://thecse.com/en/listings/diversified-industries/imagination-park-entertainment-inc.
Canadian marijuana stocks have been some of the best performing investments of 2016, as the Liberal Government that came to power toward the end of last year made legalization of the drug one of its planks during the federal election. It is unclear, however, precisely what form legalization will take from the perspective of producers, as there is sure to be regulation and oversight when it comes to growing and distribution. Investment in a would-be producer is somewhat of a binary play — if a company obtains approval to produce under the current or any new regulatory regime, it has the potential to generate revenue and show investors that its management team can run a profitable business. If for whatever reason it does not get a green light to produce, then it’s back to the drawing board. True Leaf Medicine International (CSE:MJ) was an early entrant in the space, being the 48th company to submit a production application to Health Canada. But while highly confident that its application will eventually receive the government’s endorsement, the company has aggressively developed a related business whose early success has caught the attention of investors and removes some of the concern about ongoing sustainability. If Health Canada grants True Leaf approval to produce marijuana within the next year or so, it will essentially come as a very large bonus. Harnessing the spending habits of millennials when it comes to both their own health and that of their animal friends, True Leaf established a new division in autumn of 2015 to develop and market nutritional supplements for pets that contain hemp and other ingredients targeting specific health conditions. According to Chief Executive Officer Darcy Bomford, True Leaf sees annual sales in the True Leaf Pet division potentially reaching close to $30 million in five years’ time. Bomford knows of what he speaks when it comes to pet products, having spent some 25 years of his career to date in the manufacture and marketing of natural products for the industry. His previous company was purchased in 2012, which freed him up to work with True Leaf, and further to consider the pet food space once the non-compete clause in the transaction agreement had expired. Being in a big industry is great, but it typically means there is lots of competition. Fortunately for True Leaf, their products have clear points of differentiation. True Hemp Chews come in three different formulations: Hip + Joint, Calming and Health. 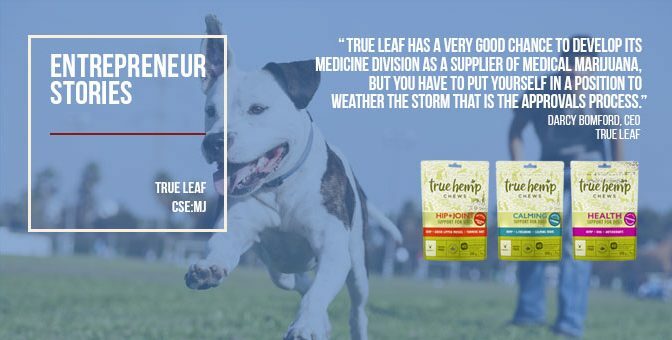 Moving quickly to make the most of its early-mover advantage, True Leaf introduced True Hemp Chews to the European market in May of this year and is now featured in the well-established Pets Corner chain of stores in the UK. Expansion into continental Europe is on tap for 2017. Balance in nutrition and balance in business. It is a combination that investors so far seem to be liking, and the philosophy has enabled Bomford to attract a balanced management team as well, with deep experience in everything from marketing to finance and quality control. Even former British Columbia Premier Mike Harcourt is on board – quite literally, as Chairman. This story was originally published at www.proactiveinvestors.com on Nov 21, 2016 and featured in The CSE Quarterly. Learn more about True Leaf Medicine International Ltd. at https://trueleafpet.com/ and on the CSE website at http://thecse.com/en/listings/life-sciences/true-leaf-medicine-international-ltd.
For Canada’s remote communities the reality of receiving packages from automated delivery drones is a lot closer than many might think. Commercial deliveries are set to begin at some point in late 2017 with Toronto-listed Drone Delivery Canada (CSE:FLT) taking to the air. Ontario-based DDC will be among the first ever commercial operations once it secures final approvals from Transport Canada in the second half of next year. Chief Executive Officer Tony Di Benedetto sees rural Canada as an ideal proving ground for its scalable drone-based business model. He points out there are over 1,800 isolated communities strewn over a sparsely populated landscape. It is not only a sizable market opportunity for DDC, but it also represents an opportunity for the Canadian authorities to better connect areas that are otherwise off the grid. For investors, meanwhile, DDC presents a low-priced option on what is predicted to be a very substantial technology industry. Broker Macquarie estimates the size of the entire private drone industry (which could include agricultural applications, infrastructure inspection, surveillance and surveying as well as parcel delivery) will expand ten-fold to around US$60 billion by 2020. As an early mover DDC is not as recognisable as the likes of Amazon or Ratuken – customer-facing online retailers that have both been working on drones. But when DDC’s technology is deployed in late 2017 it will be established as a revenue generating pioneer. There are two elements to DDC’s technology. A proprietary operating system – which will route, track and manage fleets of delivery drones – is perhaps the most significant element; the company’s intellectual property. The Company has also, by necessity, developed its own drones, though Di Benedetto says that as more advanced third-party drones become available the company will be open to using those. “We’ve had to develop our own prototypes to commence flying, because they simply don’t exist, you can’t go on the market and go buy delivery drones, they’re not there,” he says. “Eventually, over time I’m sure people are going to create delivery drones and we’re not locked in to the ‘airframe’ design. “Our logic is transportable. So if a better airframe emerges in six months we can essentially take our logic and transpose it and now we have a different vehicle for our fleet. DDC’s drones can presently carry between 7lbs and 10lbs at a time over a 200km operating range. They have been tested and, subject to regulatory approval, are ready to go. Progress toward initial delivery operations through late 2017 will be the key catalyst for investors in the coming months as DDC works to prove the commercial concept. It recently secured licences to test the technology, and is now awaiting full flight status from Transport Canada, anticipated in third or fourth quarter. The scale of early operations will be driven by the sentiments of two key stakeholders, the Canadian regulator and the initial appetite of customers. “We will slowly ramp ourselves up, it is about taking proper steps at first,” Di Benedetto explains. “We’re working with a variety of different clients; we have quite a big roster of clients that we’re engaged with. As the delivery system is proven and confidence builds the company expects it will be able to scale up quickly with drones embedded into its clients’ existing operations. The drones will be deployed on location for DDC’s clients, which reduces the need for ‘bricks-and-mortar’ type capital spending and as such Di Benedetto says it is “very, very scalable”. “It is an incredibly elastic model,” he adds. “Clients would contract us for ‘x’ amount of deliveries per month, and it is a recurring revenue stream from then on. There’s a setup charge and integration fees to get the technology enabled in the client’s environment. Once it is sufficiently large in terms of client orders, DDC will have the option to contract third-party manufacturing for the drones. This would be another important milestone in the development process. It is quite clear that DDC is presented with a very significant market opportunity. It is an early mover with a disruptive technology that could transform the transport and logistics business. The big question, however, is how quickly and effectively the small-cap company can seize the initial opportunity? There’s still a long road for it to navigate, and it all starts with final regulatory approval. Investors will want to watch out for progress towards this pivotal regulatory milestone, as well as any commentary from the company on its commercial tie-ups and contracts. 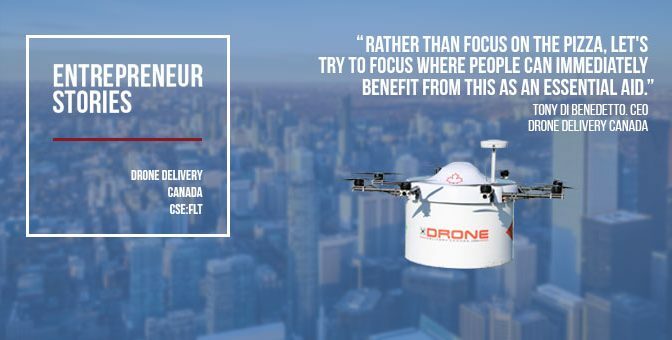 Learn more about Drone Delivery Canada at http://www.dronedeliverycanada.com/ and on the CSE website at http://thecse.com/en/listings/technology/drone-delivery-canada-corp. It all started with a lighthearted debate between husband and wife that ended in a draw, both sides claiming their friends would agree that they were right. “Of course they would,” each thought, recognizing friends could hardly be relied upon to render an impartial judgement. But from this stalemate emerged an idea: in our increasingly digital age, wouldn’t it be something if there were a virtual space to go where groups of people could provide a ruling? The next step was to figure out how to apply this inspiration to the business world. Blair Naughty, the husband side of that fortuitous quarrel, took the idea to friend and seasoned technology entrepreneur Bill McGraw, whose advice was to run with the concept but focus it on a particular set of consumers prone to taking sides. Long story short, the two now run FanDom Sports Media Corp. (CSE:FDM), Naughty as CEO and McGraw as president. The FanDom concept goes well beyond conventional comment streams, its basic framework designed to supply the one element all high-traffic mobile apps need – a compulsion loop. In layman’s terms, the compulsion loop is the particular thing about an app that keeps people coming back. It’s what prevents you from putting down the game you are playing, even though you know that there are more productive things you could be doing with your time. Compulsion loops are pretty complex things, based on a deep understanding of the sociology of your core user base. For FanDom, the compulsion loop is an environment in which users essentially become players who compete in multiple ways to determine a result important to them as sports fans. FanDom users will vote on arguments, taking one side or the other and betting on the outcome with virtual currency. But don’t mistake this for a gambling app, because that’s definitely not what it is. All FanDom users will initially receive virtual currency to use for betting on debates. The more you contribute to discussions and the better you are at choosing winners, the more currency you will stockpile and the higher your standing will be on the platform. There are many personality profiles to whom this could appeal, but imagine the sports enthusiast who thinks he knows just as much, if not more, about his favorite teams as the pundits…or even the coaches. On FanDom, you’ll not only get to offer your opinion in the comment streams but also wager on and influence the outcomes of debates on a variety of topics. Think you’re right? Prove it. Getting off to a strong start will surely be important, and while the app itself is only just heading into beta phase, the game plan for quickly establishing a committed user base is ready to go. Part of the plan is to dovetail the initial app launch with primetime on the sports calendar. Once critical mass is reached, McGraw says that FanDom has multiple monetization levers it can pull, some conventional, such as online advertising, and others reflecting the unique dynamics of the FanDom app. Examples in the latter category could include sponsorships when FanDom builds discussions around a major sports figure who participates actively on the platform. Scores of apps are put on the Apple and Android stores every day, but a miniscule percentage have the quality of team behind them that FanDom enjoys. McGraw has stickhandled the launches of over 30 games and mobile apps. Other team members bring decades of game development, online marketing, athlete management and branding experience. The athletes McGraw says the company is lining up participation agreements with are almost all household names. The potential for creating buzz is enormous. That will be significant because part of the plan calls for extending beyond the mobile screens of individual users to the televisions in venues where broadcasts are viewed by the public. Think fans at a bar in Boston debating with their counterparts in Los Angeles ahead of a big game between teams from the two cities. 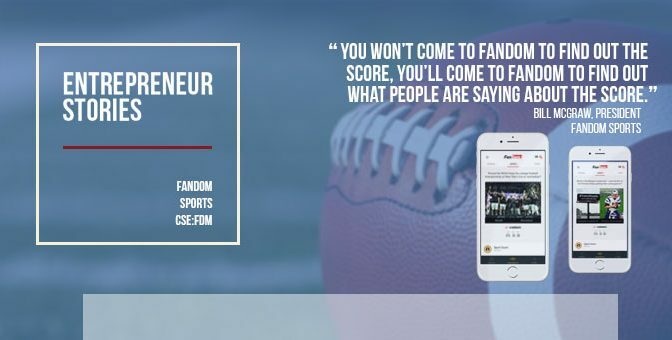 On a bus, on a train, in the airport lounge or sitting at home with your pals, FanDom aims to give everyday people a chance to be part of the action. Perhaps not to the point of donning a uniform and stepping on the field, but to have a voice in an arena with rules, time limits and participants of varying skill is in some ways like an actual game. Real sports fans care passionately about their teams. McGraw is betting that many of them will care enough to carry that passion into FanDom. This story was originally published at www.proactiveinvestors.com on Sep 7, 2016 and featured in The CSE Quarterly.